This delectable cheese is more than a hole-in-one for those who love a mild, sweet, nutty flavor and prefer a semi-soft texture. Partial to sandwiches, salads, fondue and casseroles. 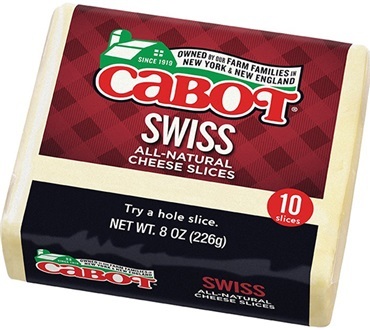 Convenient in individual slices, Cabot Swiss slices pair well with apples, pears, ham, salami, sweet white wine, mustards, rye bread and whole wheat crackers. This is delicious! I buy only lactose free cheeses for myself, but my husband can have any cheese he wants. Unfortunately for me, he wants this Swiss leaving less for me LOL! I have never been a big fan of swiss cheeses. Most are rubbery or odd flavored. 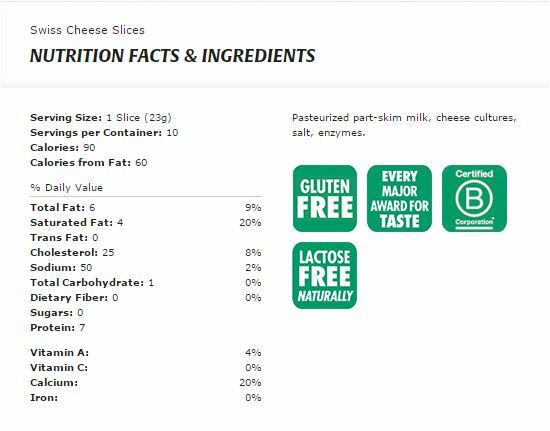 But I tried these slices for Ham and Cheese, mushroom and swiss burgers. Wow these are smooth and creamy with a great flavor and melt good.